How do you engage students' brains in learning? 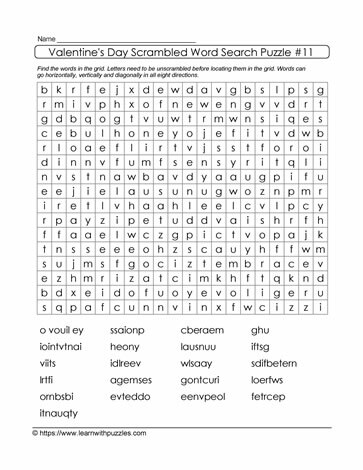 One engaging way to activate the student brain is to provide them with word search puzzles where the list of words has the letters scrambled. Similar to this brain teaser. To solve the puzzle students need to unjumble the letters and then find the words in the grid. This activity also supports a cooperative and collaborative learning environment, especially when kids work together. Note that if a clue has three words in the answer, then the scrambled letters do not necessarily reflect the number of letters in each word.